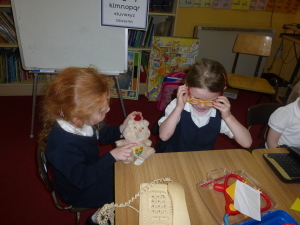 Aistear, an Irish word meaning “Journey”, is a programme for developing literacy and numeracy through play. 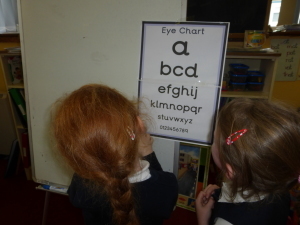 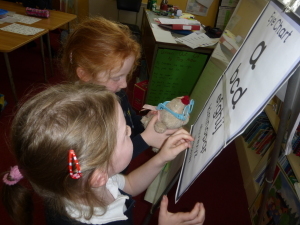 The Aistear programme is being used in Coolbock National School, in the Junior and Senior Infant class. 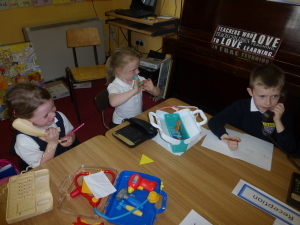 The Socio-dramatic corner in the room is a focal point, in which the children engage in structured play activity and group work. 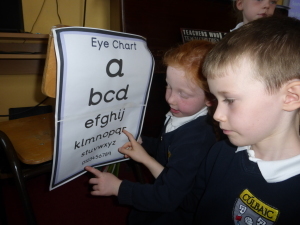 The children’s play activity is in line with the objectives of the Primary School Curriculum. 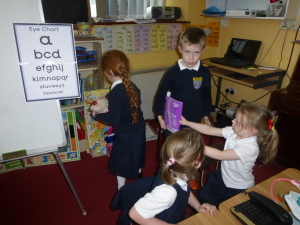 The classroom “socio-dramatic” corner can transform into a café, restaurant, opticians clinic, construction site, home corner, hairdressers and the list goes on. 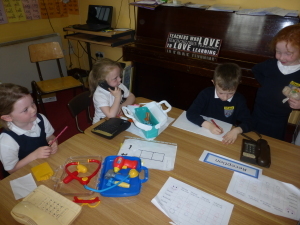 Children are developing their skills of oral language, writing, reading, numeracy through fun, play and positive interactions with teacher and their peers in a learning environment. 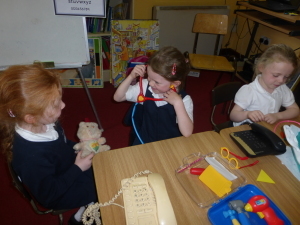 Please see our pictures below of the children working in the Doctor’s Surgery. 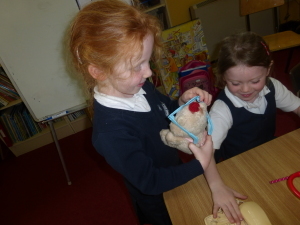 We were learning lots of new vocabulary for example; surgery, medicine, prescription, pharmacist, receptionist, temperature, examine, stethoscope and patient. 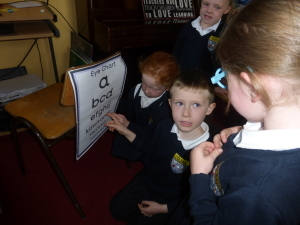 The list goes on! 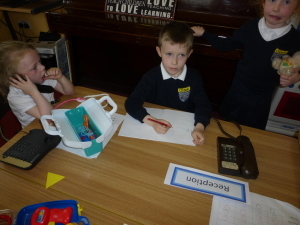 The receptionist worked very hard at taking phone calls, giving directions and making sure the waiting time was not too long.